We were delighted to be a part of the York Housing Authority’s $4.5 million HUD approved, self-directed energy performance contract which provided energy conservation measures in 55 buildings, ranging from 8-story high rises to single-family residences. 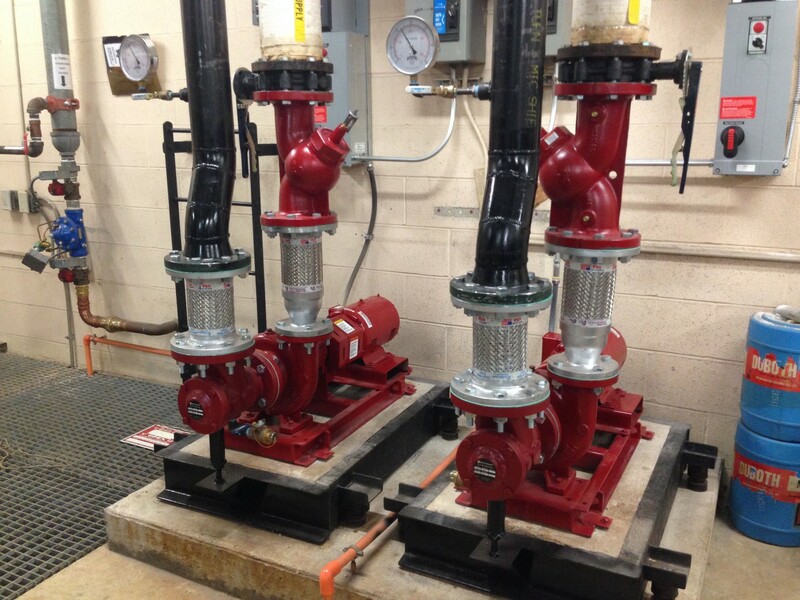 Tandem pumps in this photo replaced existing booster pumps to provide redundancy and extend service life. 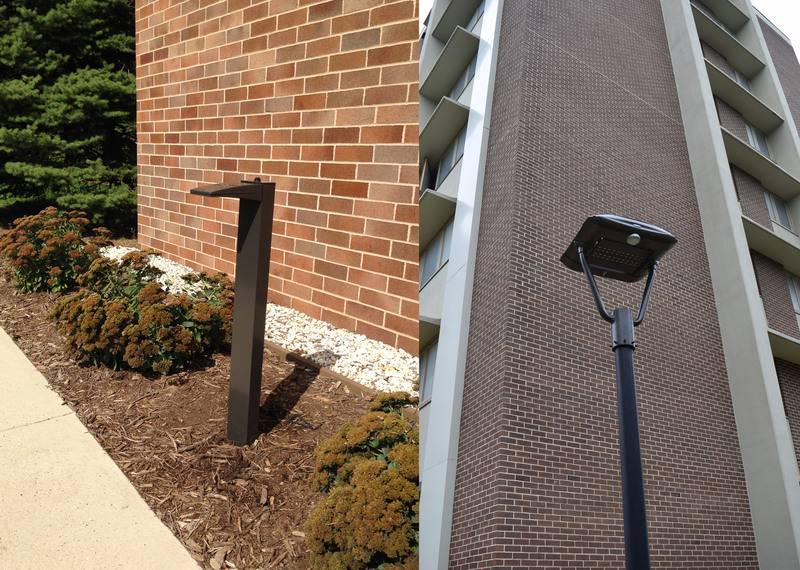 We chose energy-efficient LED light fixtures, controlled by photocells, to replace existing sodium vapor and incandescent exterior lighting. 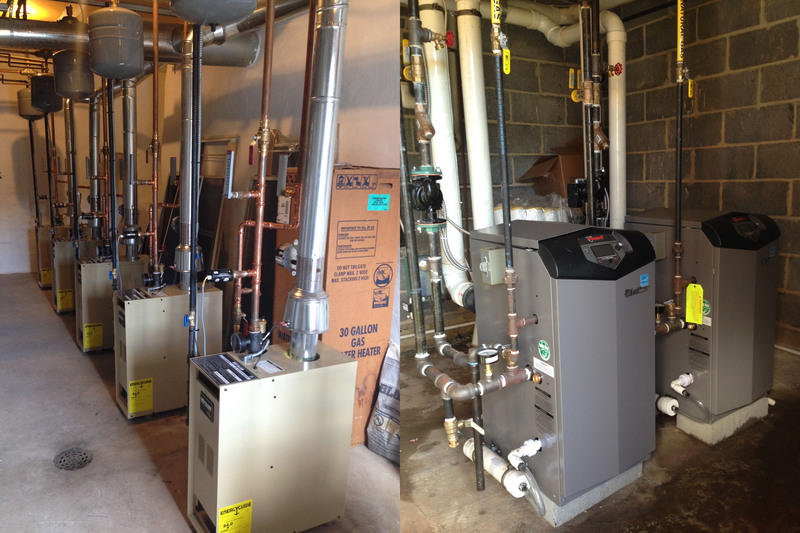 To provide temperature comfort to residents in individual apartments, as well as those living in multi-unit buildings, we replaced space-heating boilers in both small and larger sizes. 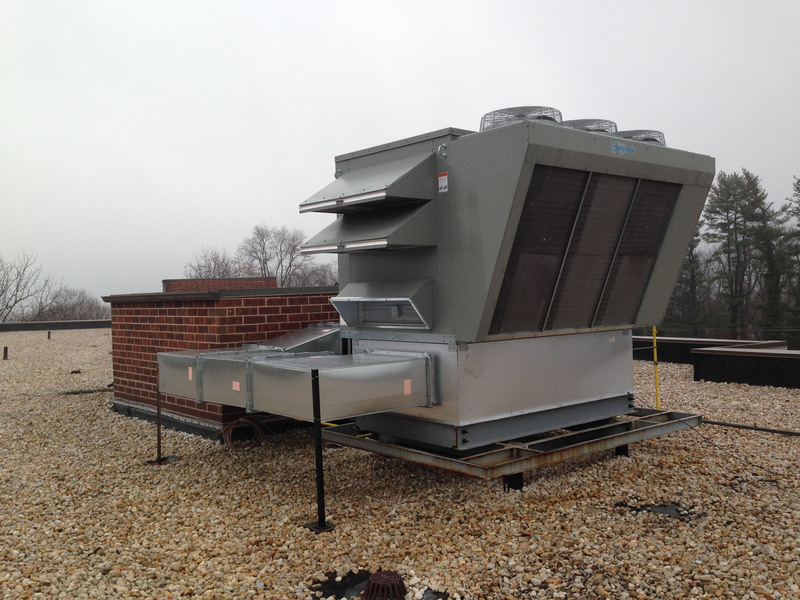 Above this property, a rooftop make up air unit helps maintain fresh air throughout the common areas of the buildings. We also replaced heating only units with energy-efficient heating and cooling units for comfort and cost control.